There are lots of reasons to pick a particular putter from “it looks good” to of course, “it works…at least for now.” There’s even settling on a new flat stick because of the designer has a reputation for making putters used by Tour pros regardless of whether it’s suitable for you. 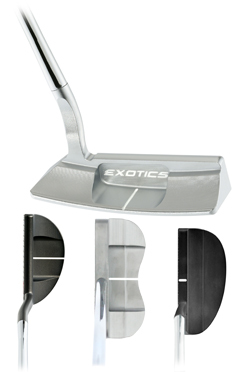 But I think my reason for interest in the new putters from Tour Edge Golf, the Exotics David Glod Tour Series, may be a first. The company’s chief designer David Glod (who is also the owner) creates quality woods and irons that are top performers when compared to clubs from much larger club companies and usually at a much more pocketbook-friendly price. I have sung the praises of his clubs for several years, especially the fairway woods and hybrids. I like them so much they are in my bag even after numerous head-to-head comparisons with the latest from just about every other maker. It was because of the performance of the long clubs from Tour Edge I was looking forward to giving the DG Tour Series putters a thorough try over 10 rounds. The model tested was the 5.1, a face balanced small mallet head with a Superstroke Mid Slim 2.0 grip and from the first putt the overwhelming impression was the solid feel of the impact with the ball. Alignment is easy aided by the white line and the edges of the cavity that takes up more than half the top of the head. Did it fix all my putting problems? No, but it wasn’t too long to have my confidence rise and all questions about the performance of the putter in my hands disappeared. Glod talked about his designs in the DG series which include two modern blades and three mallets. All have a distinctive face milling, a weight of 350 grams and offer a choice of black PVD or silver bead finish. Each is CNC milled from a single block of carbon steel and priced at $249.99 or $279.99 with a Superstroke grip. Which it does without question. Negatives: You may have heard this before but that doesn’t make it less true—get fitted properly. Even though the cost of a fitting session with a competent professional adds to the cost of any putter, if you rely on pure chance the odds is getting a putter that fits your stroke are slim. For example, do you know if a face balanced putter or one with toe hang or how much toe hang is best for you? I thought so. 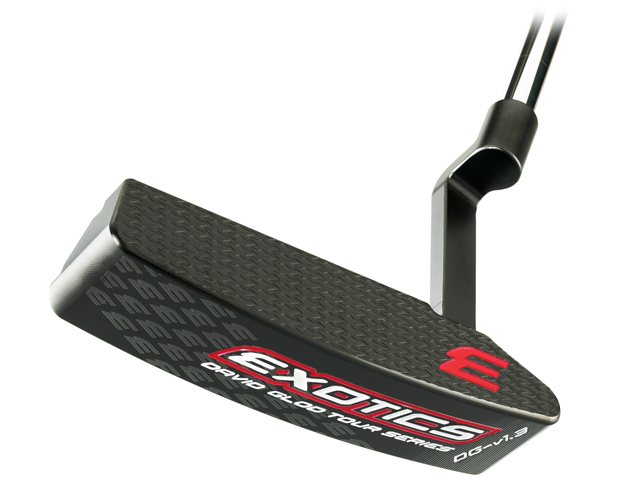 Recommendation: The Exotics David Glod Tour Series putters are of the highest quality and though they may not cure all your putting woes at least you’ll know it’s not the putter.